Libs will walk you through a series of worksheets and fun exercises that mimic the programming language she uses to generate random quilt patterns. (You’ll use paper and pencil…no computer required.) Using controlled elements in a random way, you’ll draft a unique quilt pattern layout. We’ll discuss design flow and tweak our individual layouts. Then you’ll cut fabrics and work on piecing your design into a real quilt. 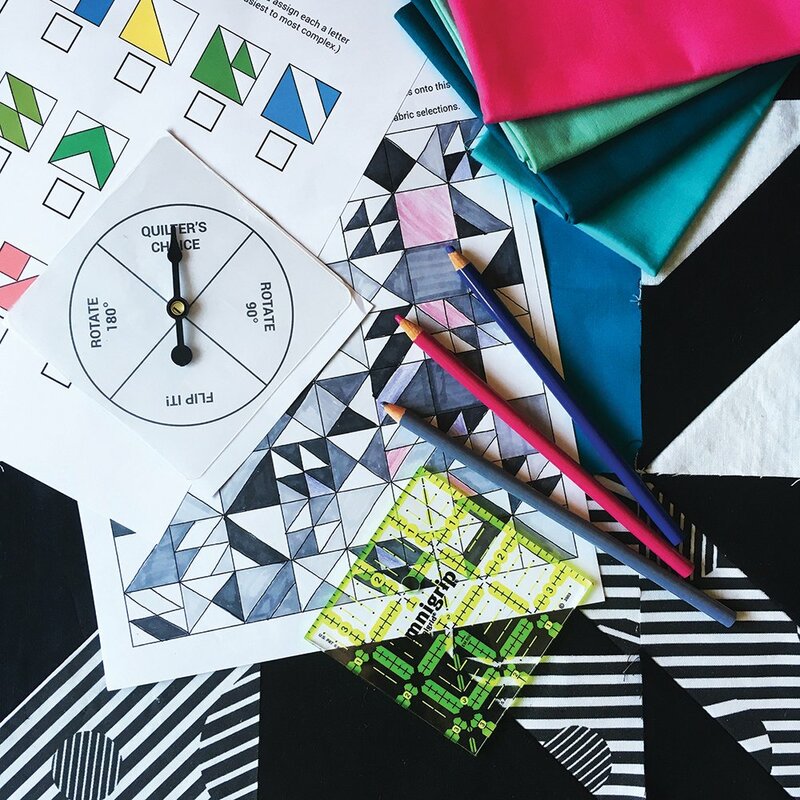 At the end of class, you’ll leave with your very own random geometric quilt design. Your finished quilt will be 30" x 30".